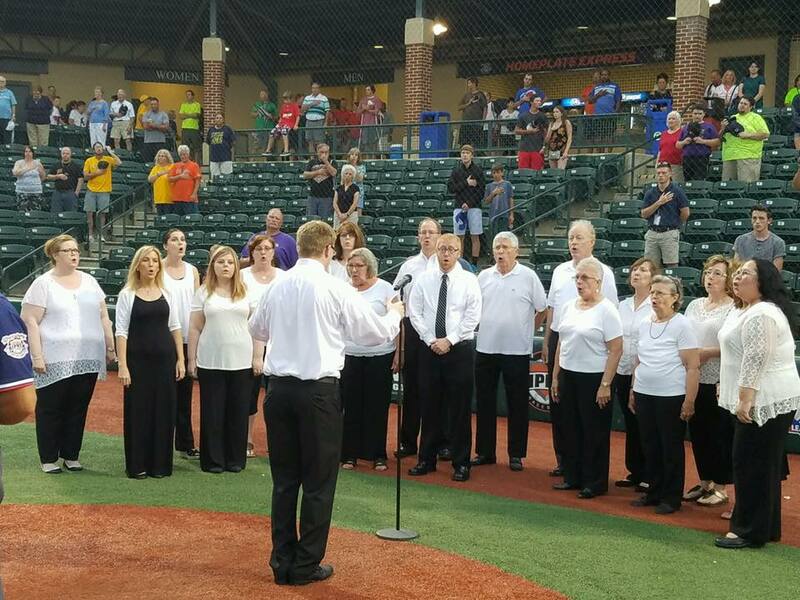 On Saturday, July 30th, BACC had the honor of singing the National Anthem for the Cal Ripken World Series in Aberdeen, MD. Director Jay Althouse led a small group who committed to the extra performance. 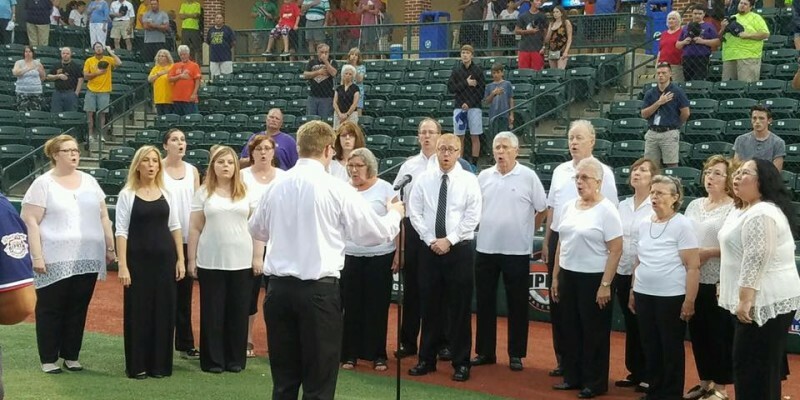 Singers included: Sopranos – Heather Kerr, Amanda Krisher, Renee Duzan, Addie Blevins and Christina Rodriguez; Tenors – Chris Depkin, Sherry Maxwell and Cliff Opdyke; Basses – Bill de Rosset, Wes Bartenfelder, and Ted McCadden; and Altos – Jessica Peary, Shirley Bartenfelder, Marion de Rosset, Judy Gach, Ginnie Streamer and Janeen Beebe.